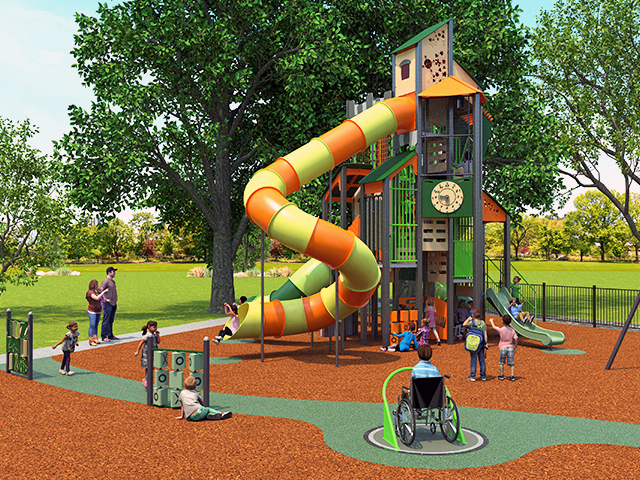 Expression Swing™ is the industry’s first playground swing that promotes intergenerational play as adults and children swing together, face-to-face. 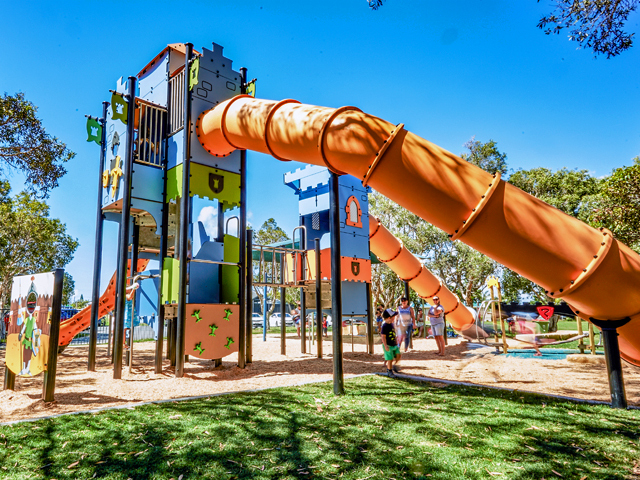 Expression Swing™, an ImaginationPlay exclusive product from GameTime, is now available within the Australia/Oceania region. 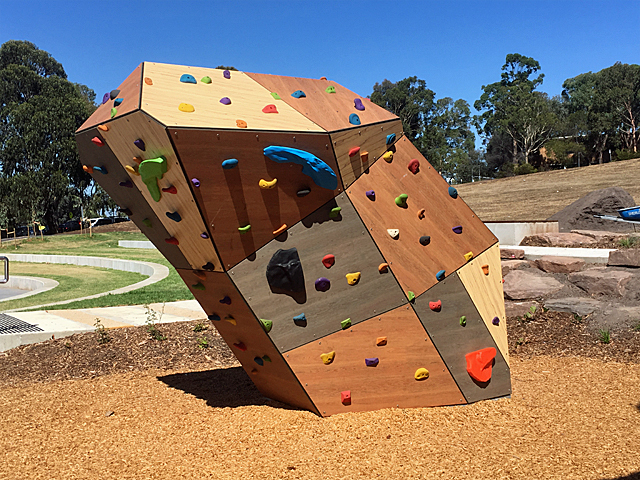 Expression Swing™ is the industry’s first playground swing that develops the bonding process of child and adult during outdoor play. 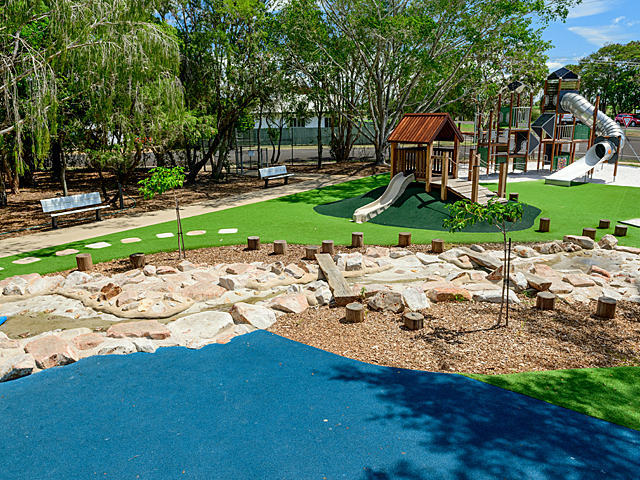 When a parent and a child make eye contact during play, something special happens. The portions of the brain that are responsible for balance and coordination, and thought and language are stimulated. Scientists have observed an increase in brain activity in both parent and child at the moment of eye contact. This moment of ‘play attunement’ is critical in the development of the parent/child bond, and is essential in the early development of a child’s life. 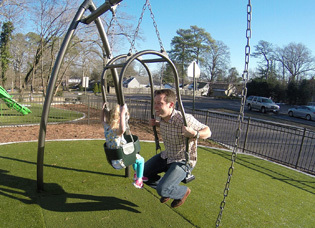 The patent pending Expression Swing™ comprises a face-to-face design, with a bucket seat for children under five and a comfortable adult seat that allows a parent/caregiver and child, or grandparent and grandchild, to interact with each other and experience one another’s facial expressions while at play. 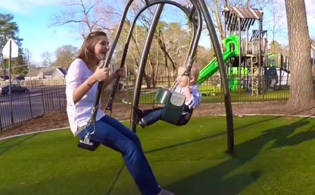 The Expression Swing™ is specifically designed not to swing out of the way when you are trying to position your tot into the swing seat. 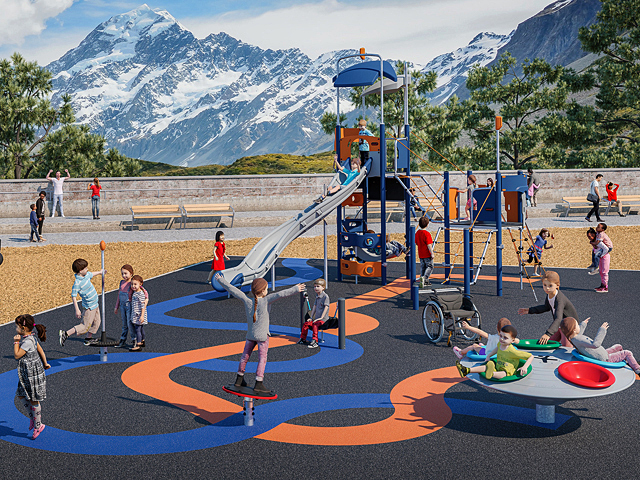 It is designed with consideration toward little fingers and is the industry’s first ergonomically designed swing-seat for adults. Its non-slip rubber surface provides safety and security while swinging, and meets or exceeds all EN, ASTM and CPSC head impact criteria. 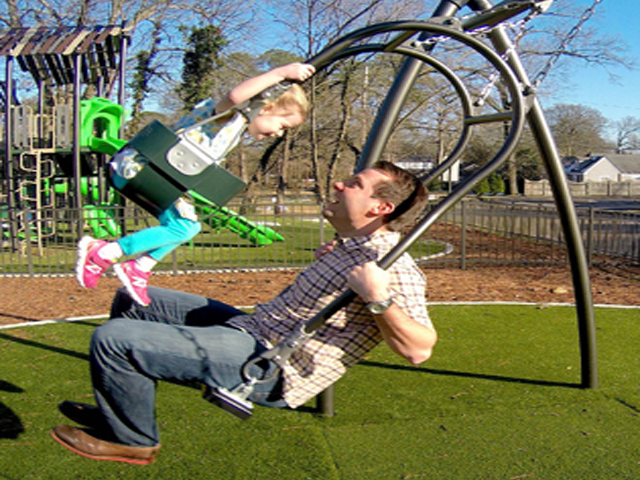 Expression Swing™ brings adults and children together in play like nothing has before. 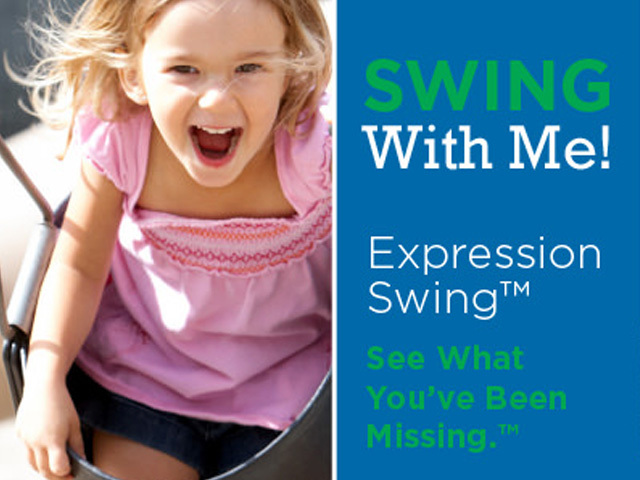 Just as parents and grandparents relish the memory of a child’s first step or first day of school, Expression Swing™ allows them to participate, first-hand, in a child’s first swinging play experience and to see what they’ve been missing.